Champagne, housemade pastries and maple bacon… just some of the highlights of my dining experience at the fresh and exciting launch of Sokyo’s Japanese-influenced breakfast available only from 7am to 10:30am on weekends. I was invited to sample some of the dishes and I took one very excited friend with me. 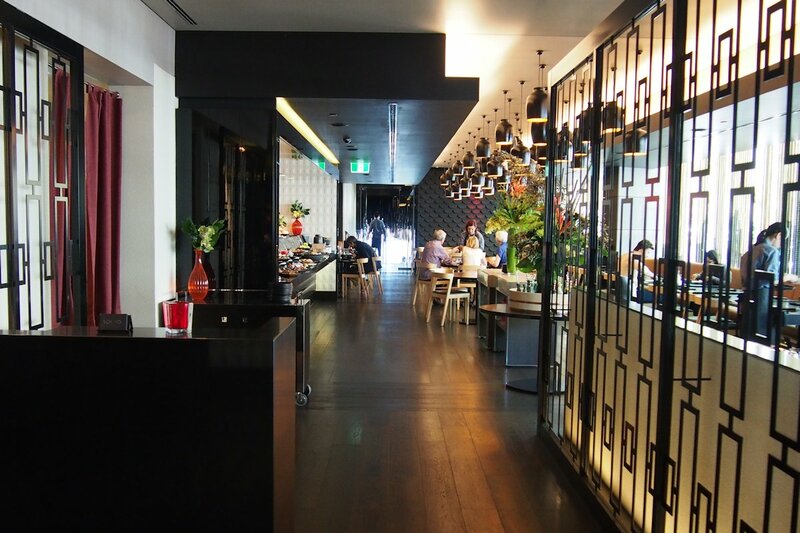 Sokyo has entered the breakfast scene with the intention of shaking things up and with Japanese spins on ‘regular’ dishes as well as unique flavours and extremely competitive menu prices, I think it can do it. Currently they’re serving 150 to 200 people for breakfast each day of the weekend! The whole idea was executive chef Chase Kojima’s. 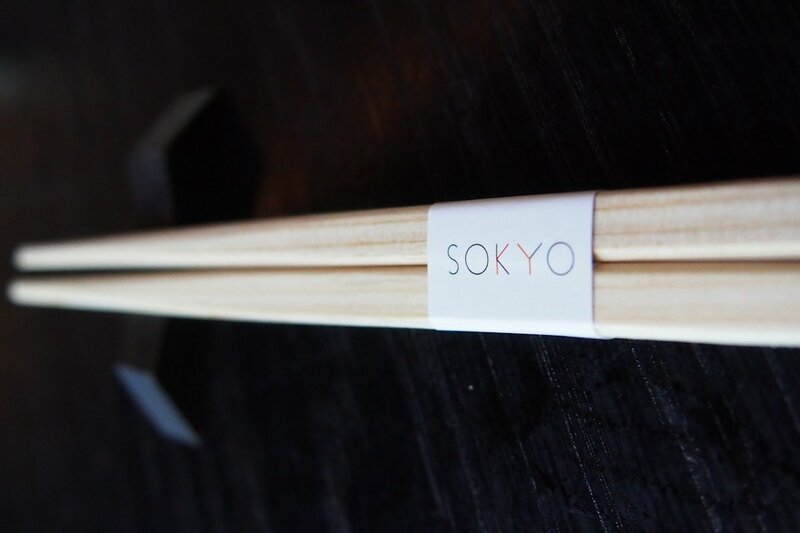 Up until about three months ago, Sokyo was operating six days per week but he wanted to be open all week and offer the breakfast crowd something different! So with the addition of some new staff to cope with the load, he began the daytime transformation of this iconic restaurant. 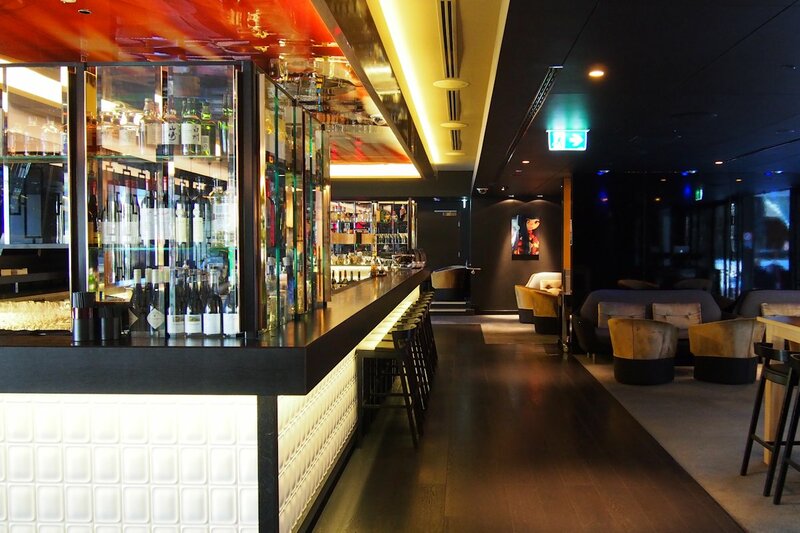 The interior is spacious, modern and subdued with a steady stream of chilled house and acid jazz setting the scene. The waitstaff were as professional as they come. 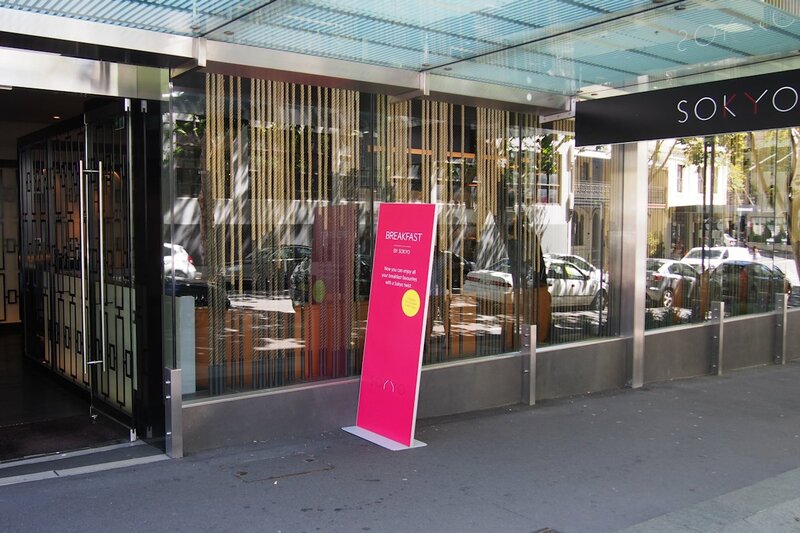 Quick and personable, they know their trade and had absolutely everything covered during our visit. My Vittoria coffee ($4) was brewed and presented well. Sokyo uses only their organic beans. It tasted good although when I visit again I will be sticking to tea ($4) or one of the cold drinks. 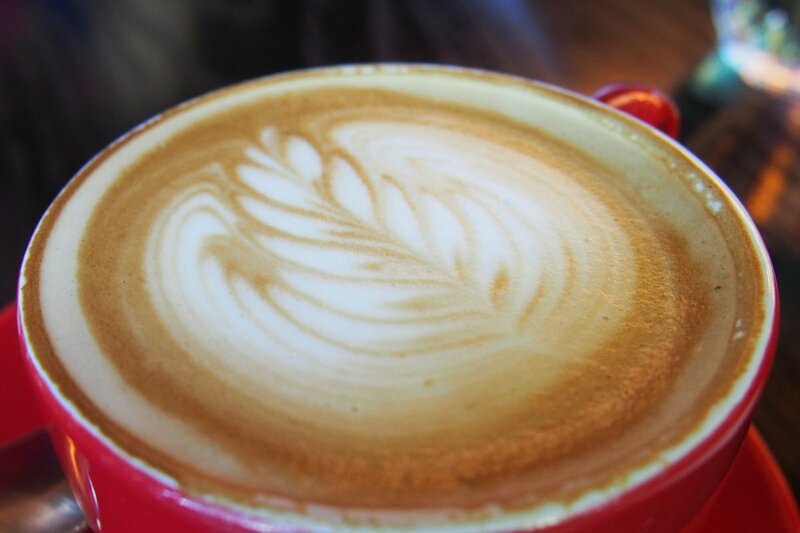 Coffee just seemed out of place and contrasted too much with many of the flavours of our dishes. As well as constantly-replenished sake bottles of fresh apple or orange juice ($5), another refreshing type of available beverage is the housemade iced tea. Available as peppermint, Rooibos blood orange, green lemon honey or white peach, we sampled two of them and each had our favourites. 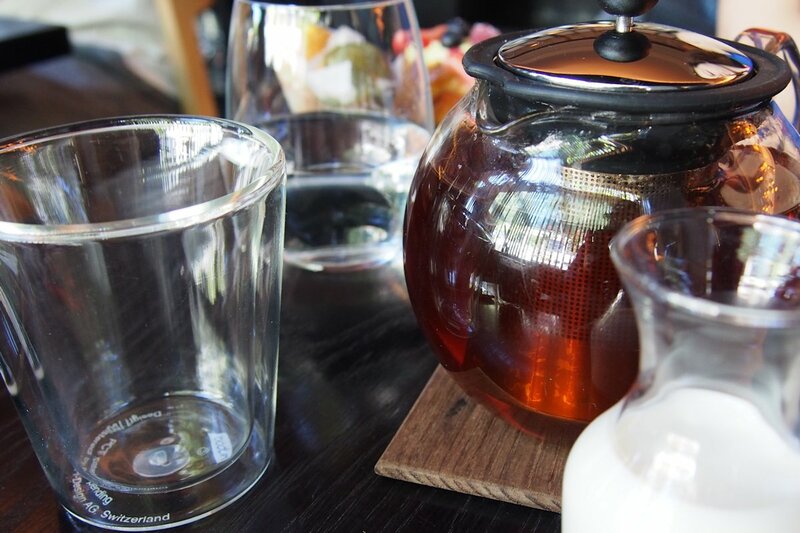 The peppermint comprises of yuzu (a sourish citrus fruit), elderflower and peppermint tea. The elderflower is quite subtle but the yuzu/peppermint combination was powerful and very enjoyable. In contrast the much sweeter white peach contains lemon juice, white peach and white tea. Everything is prepared from scratch on site. It’s a long process but worth it. 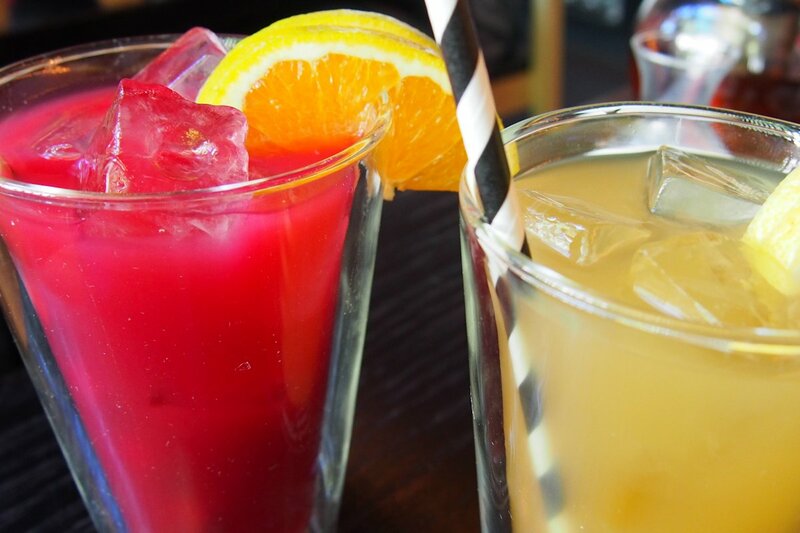 These are most certainly the drinks to order. I love the understated names as well as the flavours of Sokyo’s smoothies (small $4, large $8). 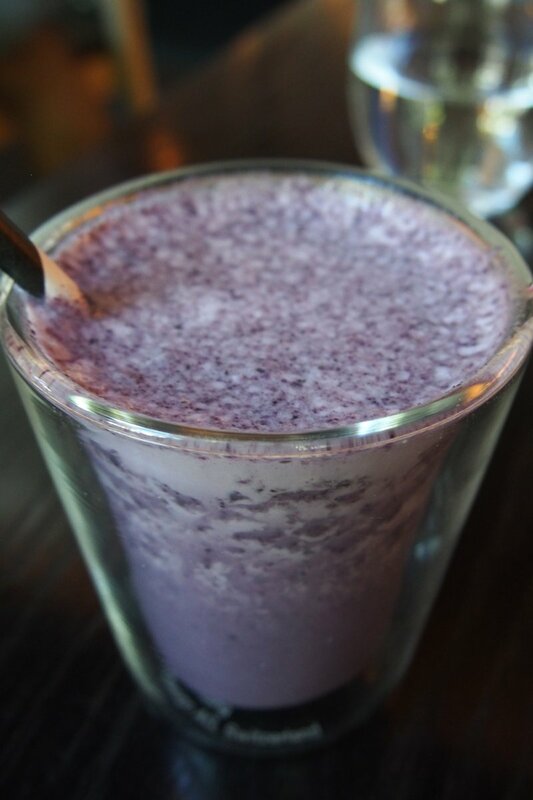 The Purple contains blueberry, acai berry, agave and milk. Other smoothies include The Fresh (watermelon, mint and lime), The Lassie (mango, orange and Greek yoghurt) and The Tropical (pineapple, coriander, ginger and caramel). While an a la carte menu is offered, when I mention that one of Sokyo’s main drawcards is a buffet, you need to instantly cast aside any thoughts of greasy, prepared-an-hour-ago breakfast items siting in bain-maries. Instead think fresh and housemade. 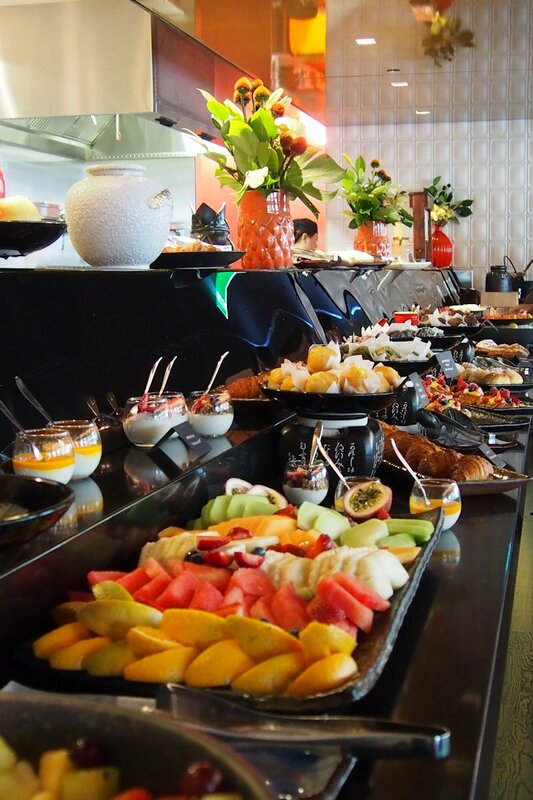 The only hot dish at the buffet is a Japanese congee and the rest ranges from fresh fruit and yoghurts through to pastries, muffins, breads and a selection of salmon, cold meats and cheeses. 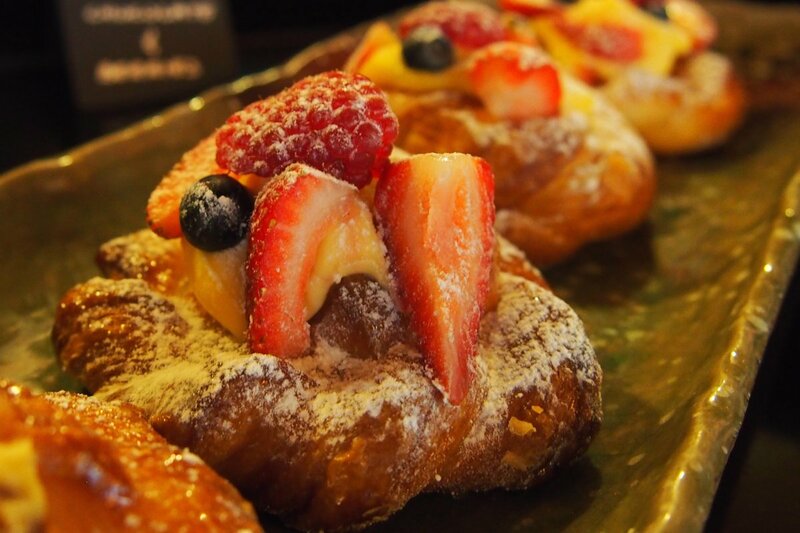 Sokyo runs through more than 400 pastries each morning! So let’s start with the best pastry. The yuzu, white chocolate and berries pastry was out of this world and even though I don’t normally choose sweet dishes, I could have happily dined on a plate of these! 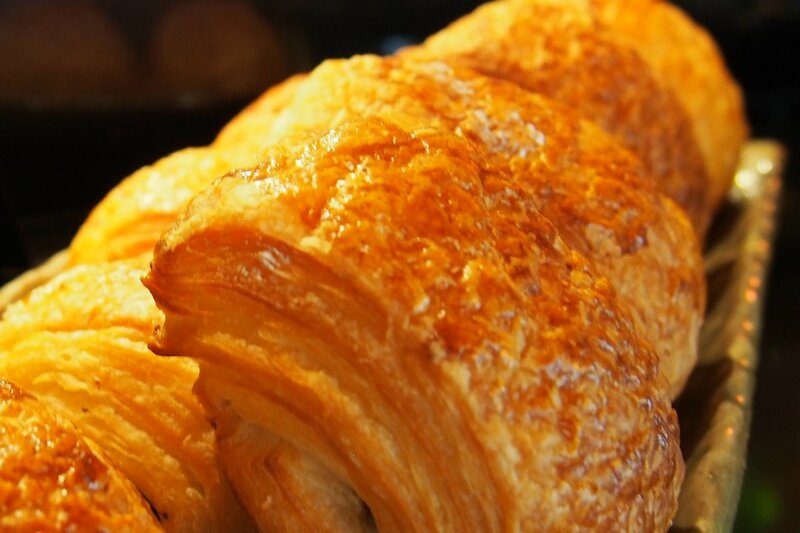 Also available are cream cheese filled pastries, petit croissants and chocolate croissants. The pastry was delicate and light; superb examples of excellent baking. 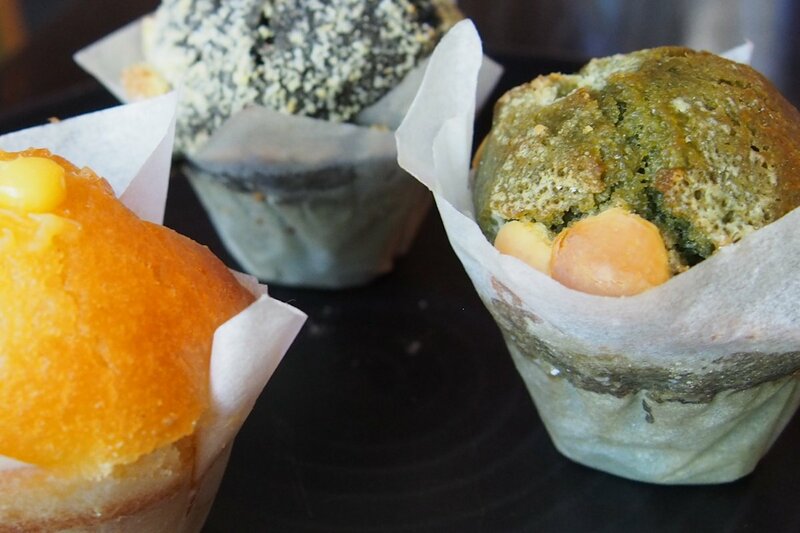 There are a few types of mini muffins available. The green tea flavour was subtle which my friend and I both enjoyed however the yuzu curd was our favourite. Also available is black sesame. 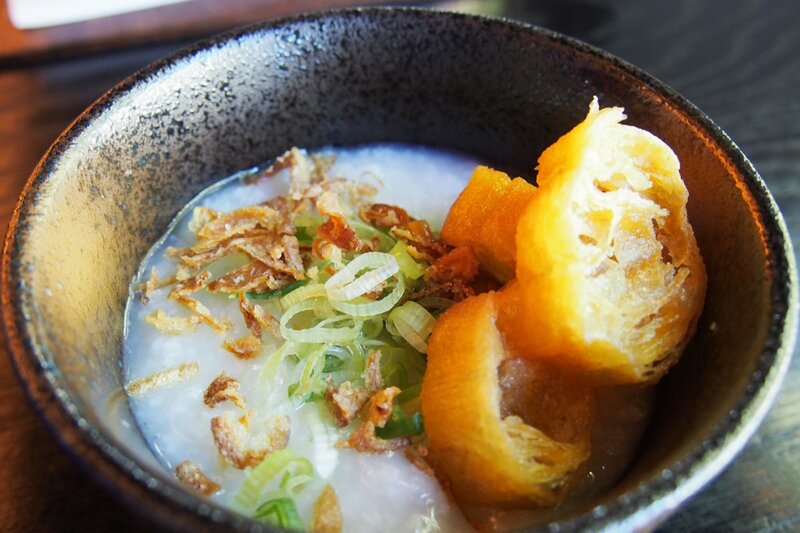 Sokyo’s Japanese congee differs slightly from Chinese congee in that it doesn’t soak for as long. Sokyo uses a seafood extract in their version and leaves it up to the patrons to dress their bowl up. I hadn’t had much experience with congee before trying this one but I was impressed a by the depth of flavour which I wasn’t expecting. Best element of the morning overall? Maple syrup poached bacon. One of the best things I’ve tasted recently. Despite his Japanese heritage, Chase is from the US so he uses streaky bacon and he has the texture just right as it is baked after being poached. 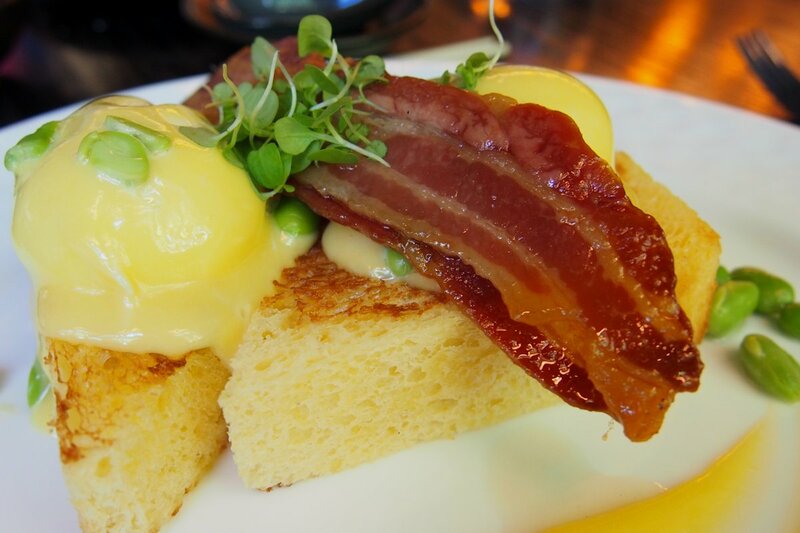 It is served on the eggs Benedict ($22.50 with tea or coffee and juice) which, just like most of the other dishes, adds a twist to the norm. At the base of the dish is a cushiony, housemade brioche, two perfectly poached eggs above and a miso hollandaise topping it all off. Some edamame on the side add some texture to an overall quite sweet but ridiculously tasty dish. 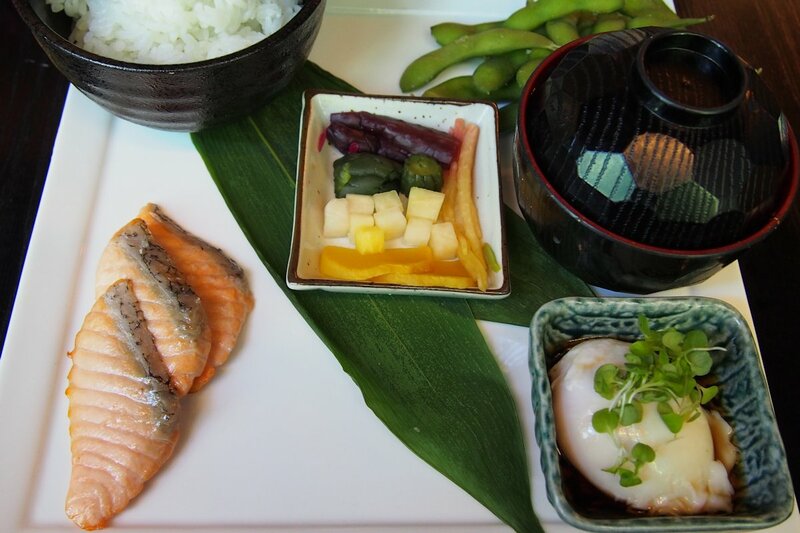 On this large and well presented plate known as the traditional “Choushoku” breakfast ($22.50 with tea or coffee and juice), you’ll find grilled fish of the day (in our case salmon), miso soup, steamed Hokkaido Yumepirika rice, nori and Japanese pickled vegetables (daikon, radish, cucumber). Some seaweed is served with the rice so you can wrap your own creations! 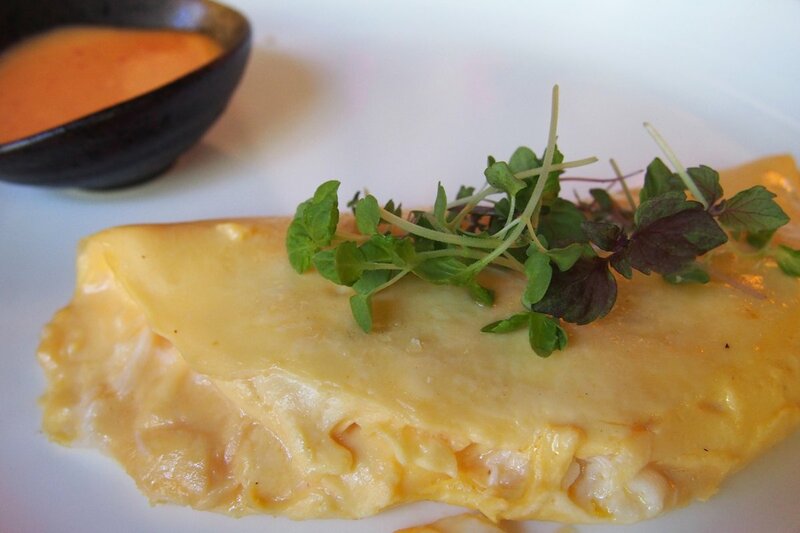 … the omelette ($22.50 with tea or coffee and juice)! Sounds simple right? Well, it is and that’s just perfect in my book. The chef’s daily choice of ingredients meant that on this particular day, swimmer crab was the selection. My jaw dropped as I cut through and saw the amount of crab within! This omelette was a real treat and served on the side was a slightly spicy red pepper mayonnaise. I loved the combination. At this stage do I even need to mention the sumo breakfast ($22.50 with tea or coffee and juice)? It offers eggs, grilled bacon, Japanese sausage, sauteed mushroom, edamame, roasted potato, tomato, avocado and toasted ciabatta. While I didn’t try this dish, if you’re going to visit Sokyo, I recommend that you choose one of the other dishes as anyone who enjoys their food will appreciate the uniqueness and the flavour combinations. 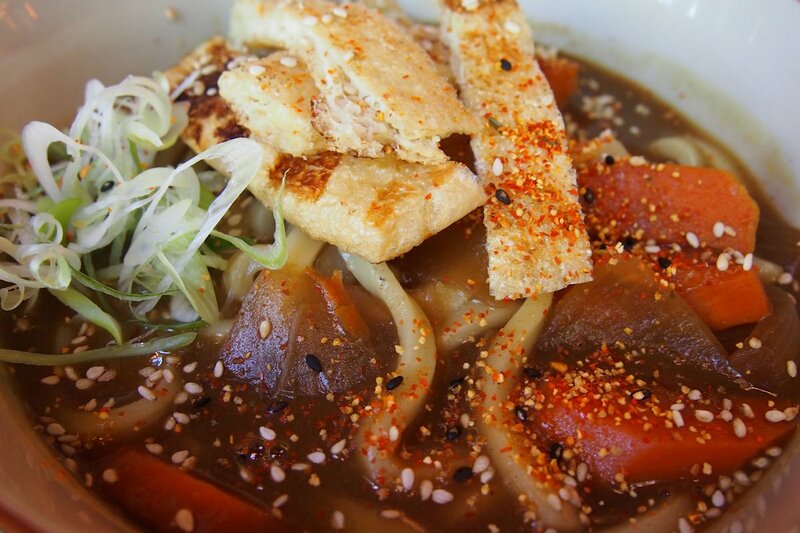 I’ve mentioned the prices of the a la carte dishes which are $22.50 inclusive of a coffee or tea and juice. That’s remarkably good for the quality I got to experience and easily on par with most reviews. The full continental buffet and tea or coffee costs $28 while the buffet, one a la carte dish and tea or coffee costs $38. So whether it’s for a breakfast treat or a new regular spot, make a booking (essential) and drop in to see what all of the fuss is about!